All National Park entry fees. 4WD vehicle for bush and beach access. Pick up and drop off at accommodation. All camping gear except sleeping bags. Departing Broome nice and early we push South from Broome. Today’s job is to get some distance under our belt to make the following days easy, we stop at 80 Mile Beach for a refreshing swim in a crystal blue water and then get on a network of bush tracks which eventually take us into the heart of the Pilbara. 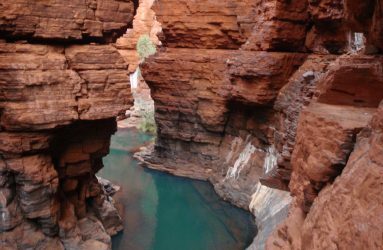 The Pilbara region includes beautiful landscapes of coastal plains and mountain ranges with cliffs and gorges and is particularly known for its iron-ore deposits. Quickly take a photo standing on one of the oldest railway lines of Western Australia! The reason we have chosen to use an off road vehicle as opposed to a bus becomes clear as we take on the dirt roads and access a beautiful remote bush camp in a remote outback a river setting, often voted as favourite camp we normally get in nice and early, crank up the campfire and cook up a traditional aussie roast in the camp oven. 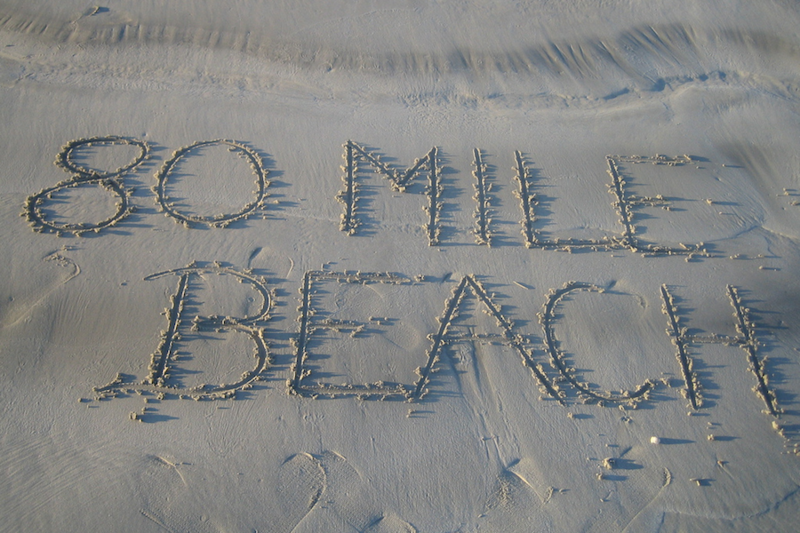 80 Mile Beach, exactly 109 miles long! We wake up with the birds singing and leave our campsite to keep driving through the Pilbara region via Marble Bar, home to the famous IronClad Hotel where we can stop for a refreshment and good Aussie hospitality. Marble Bar is a unique outback town with a strong history, it also claims the title of Australia’s hottest town, summers are always up there in the high 40’s however back in 1922, long before anyone had invented air conditioning it got to a whopping 49.2C! From Marble Bar we’ll push further to reach what many people rate as their favourite Australian destination, Karijini National Park. 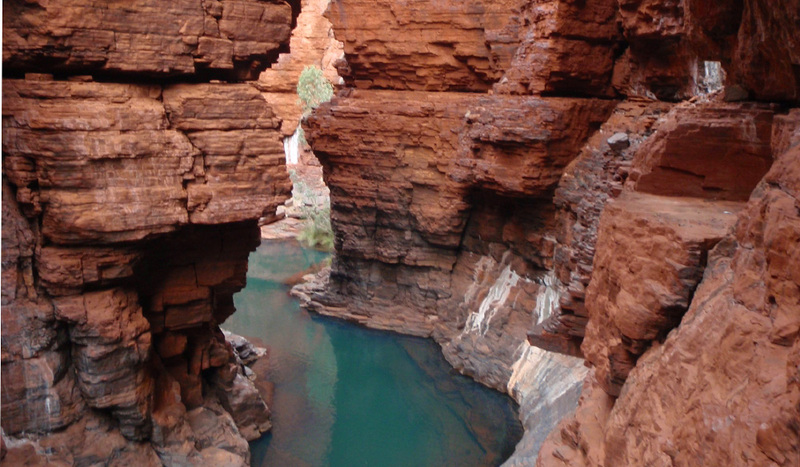 Slot canyons, deep gorges and waterfalls abound in this outback oasis. 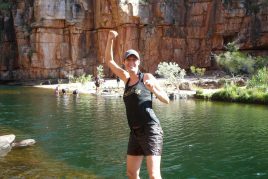 On day 2 we normally check out the East Karijini delights of Fortescue Falls, Fern Pool & Dales Gorge. A few meters away from our campsite, tour participants can decide to join an astronomy tour (at own expense) and spend the night learning more about the stars, taking a closer look at the Milky Way or Saturn through large telescopes. This adventure will take you on a cosmic journey, lightyears from Earth! There is so much to explore and some great hiking and swimming for the whole day. Tour participants also have the opportunity to join a canyoning tour (at own expense) for 1 of these days, enabling them to explore some of the the areas restricted to rope access only. At the end of Day 3 we return to camp and cook up another feast. 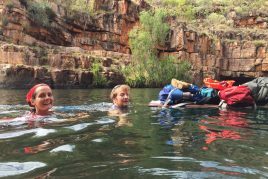 4.After an early morning at Hamersley Gorge, we say goodbye to the spectacular inland gorges of Karijini National Park and head for the Coast, specifically Exmouth. Arriving on the coast, we stop at the Ningaloo lighthouse to watch the sunset, another promise of a beautiful day awaiting. Then, we head straight for our private bush camp located right on the water at Exmouth Bay. 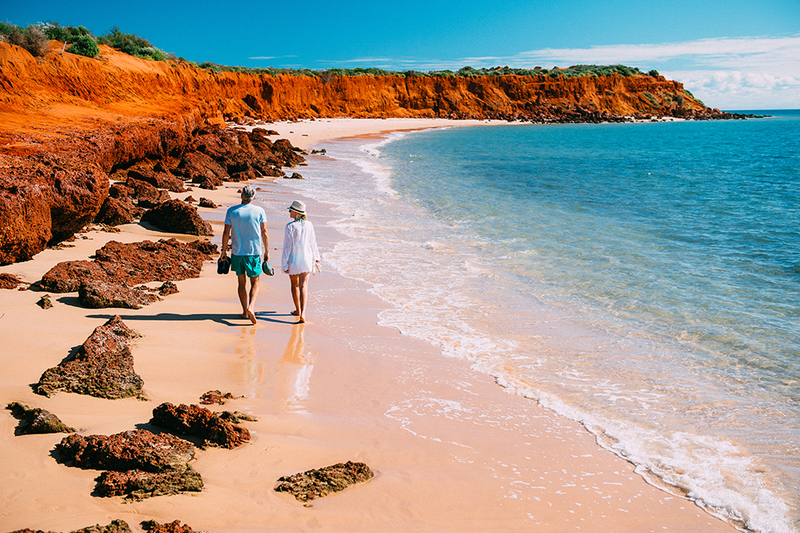 We will spend the next three days exploring the Exmouth Peninsula, about 650 km of stunning beaches with white sand and clear blue water, where there is a variety of activities to suit all tastes and budgets. 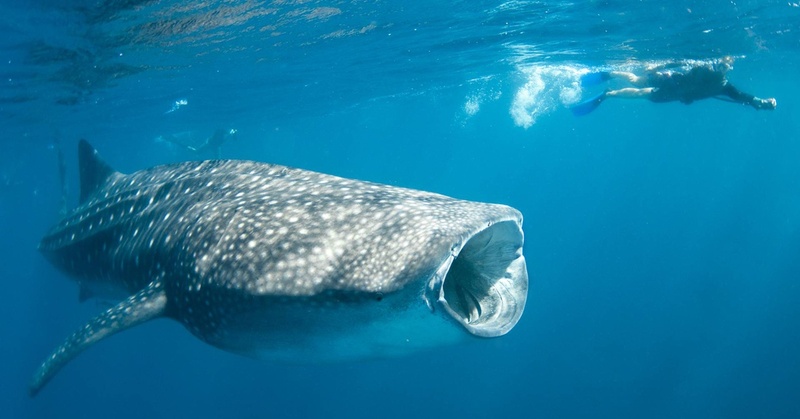 Depending on the search for animals, you will have the chance to jump on a boat cruise of your own choice (at your own expense in Exmouth or Coral Bay) to go snorkelling, diving, search for whale sharks (in season) or Manta Rays in the Ningaloo Reef. 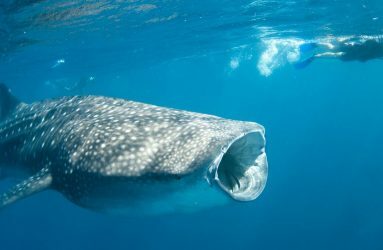 For those not cruising we explore the peninsula including a special places lie Turquoise Bay, where the coral reef comes right up to the beach, we spend quality time here exploring the reef where we see tropical fish and if lucky turtles and dolphins. In addition to Turquoise Bay the Cape Range National Park is home to Yardie Creek, a coastal gorge where there is a great hike and more swimming opportunities. We access another private wilderness camp right on the Exmouth Bay and enjoy some time under the stars and around the campfire. On day 7, we finally head south towards Hamelin Pool in the World Heritage Protected Shark Bay before settling down for another night around the campfire. We have a campsite right on the bay which is only accessible by 4WD. 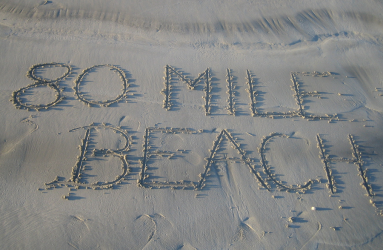 On the way we take on some sand dunes and stop in Shell Beach – you guessed it, a beach made entirely of shells! 8. Arriving at Monkey Mia we spend some quality time with the Dolphins and participate in a feeding session. Wild dolphins have been visiting the shoreline at Monkey Mia virtually every day for over 40 years, making this spot one of the best and most reliable places for dolphin interaction in the world. 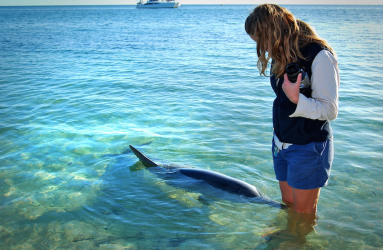 The dolphin interactions are regulated by rangers and a few lucky visitors are selected to hand-feed the dolphins a small amount of fish. From Monkey Mia we wave goodbye to our aquatic friends and head into Kalbarri National Park where we explore the inland gorges of the park including Murchison Gorge & Nature’s Window. 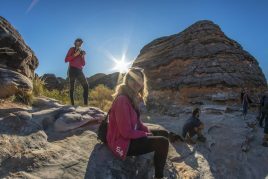 We continue our trek south and chase the sunset while exploring some of the coastal areas of the Kalbarri National Park which can include sections of the Bigurda Trail & Eagle Gorge. After all the outdoor action, we head to our last campsite located on private property along the Murchison River. 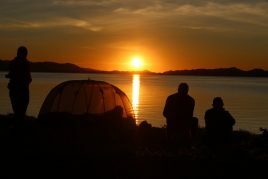 9.The beauty of bush camping is that we rise with the sun and get moving early. 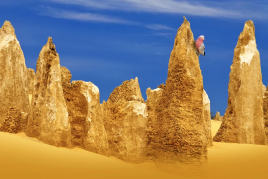 we’ll head for Nambung National Park, home of the Pinnacles and eventually into the city of Perth where we can drop you at your accommodation.